I have experienced that when you quote Mises instead of Rothbard (and they say basically the same in most circumstances) other Austrians are usually more receptive and willing to engage you in a discussion. Have you guys experienced the same thing? Indeed we have and the reason has become increasingly obvious. 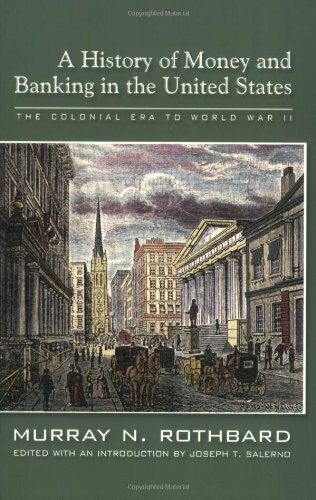 In the past ten years or so, there has been a concerted effort in some quarters of the Austrian economics movement to deny Rothbard his just due as a prodigiously productive scholar and as Mises’s pre-eminent follower whose work inspired the modern revival of Austrian economics.1 The story according to the Rothbard deniers goes something as follows. 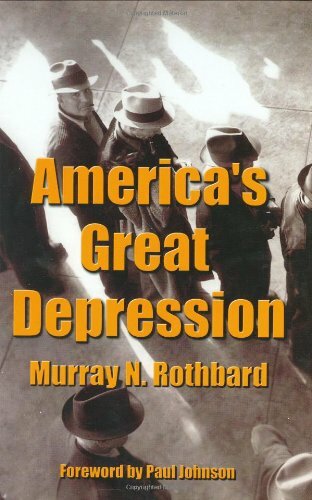 “Yes, yes,” they grudgingly admit, Rothbard wrote some foundational works on Austrian economic theory and history, including: Man, Economy and State; America’s Great Depression; The Panic of 1819, and Power and Market. But that was way back in the 1960s. By the 1970s he had “disengaged” from economics and the mainstream economics profession and began to focus on libertarian political philosophy and social theory. Apparently, for the Rothbard deniers, there is no greater intellectual failure then to refuse to engage mathematical and positivist economists in endless and fruitless “conversation” and to instead concentrate on advancing the Misesian praxeological paradigm. 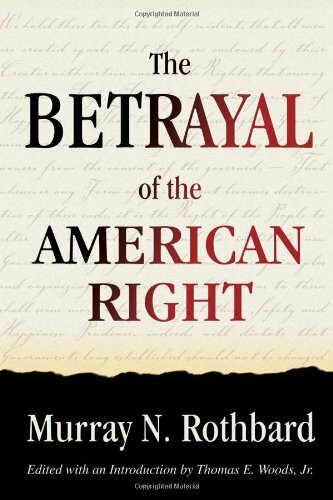 By the 1980s, this tale continues, Rothbard abandoned serious academic pursuits altogether and became a political activist and propagandist for libertarian ideas. By intermingling politics and economic theory, the deniers allege, Rothbard shunted Austrian economics onto the wrong track and abandoned the tradition of Menger, Böhm-Bawerk, Mises and Hayek. 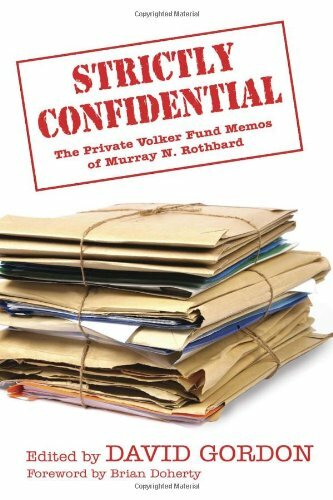 This brief survey of Rothbard’s academic writings demolishes the foolish allegation of the deniers that Rothbard dropped out of the scholarly “conversation” altogether after 1980 in order to churn out nonacademic propaganda pamphlets as a political activist. In fact Rothbard’s steady stream of contributions from 1962 to 1995 and beyond in economic theory, the history of economic thought, political economy, and economic history, I believe, marks him as the greatest economist of the past 50 years. What of the deniers’ assertion that the content of Rothbard’s writings disqualify him as a true heir to the Misesian tradition? This reveals a stunning lack of familiarity with the history of the Austrian economics. Indeed it would be news to Mises himself as well as to his closest disciples and fellow travelers, such as Henry Hazlitt and Friedrich A. Hayek. 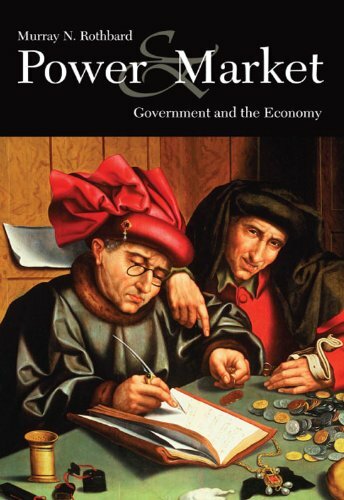 Mises reviewed Rothbard’s magnum opus on economic theory, Man, Economy, and State and enthusiastically endorsed it. He lauded Rothbard’s work as an “epochal contribution to the general science of human action.” He then went on to declare: “Henceforth, all essential studies in these branches of knowledge will have to take full account of the theories and criticisms expounded by Dr. Rothbard.”4 Anyone who is at all familiar with Mises’s writings can attest to the fact that Mises was rarely lavish in his praise of the works of other authors. 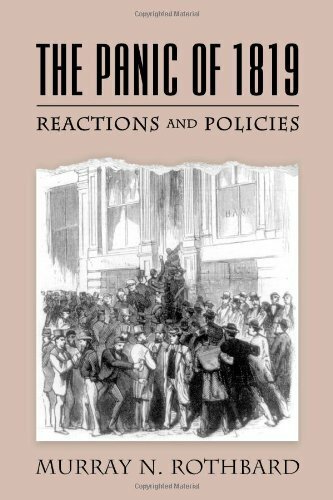 Indeed Mises once remarked: “There never lived at the same time more than a score of men whose work contributed anything essential to economics.5 Yet Mises extravagantly lauded Rothbard’s treatise despite the fact that parts of the book were intended The Panic of 1819: Rea... Best Price: $8.82 Buy New $8.96 (as of 01:10 EDT - Details) to correct, improve upon, and fill the gaps in the system of economic theory that Mises had presented in his own treatise, Human Action. Given this context, Mises’s review of Rothbard’s treatise sounds for the all the world like an older scholar at the end of his career passing the torch to someone he considered his closest protégé. This interpretation is reinforced when we examine Mises’s reaction to the most notable instance in which Rothbard explicitly rejected one of Mises’s doctrines. I am, of course, referring to the theory of monopoly price. Mises had conceded that the formation of a monopoly price above the competitive price was theoretically conceivable in an unhampered market, although highly unlikely to occur in practice. Rothbard argued, to the contrary, that the distinction between a monopoly and a competitive price was conceptually meaningless in a free market economy. Now Mises was once asked his opinion of Rothbard’s disagreement with his theory of monopoly price by Joaquin Reig, the Spanish translator of Human Action. This occurred at the Mont Pelerin Society meeting in 1965. Mrs. Mises, who witnessed the exchange, said that her husband had replied: “Whatever Rothbard has written in this work is of the greatest importance.”6 However, the Spanish economist Jesús Huerta de Soto has reported that when Reig himself used to recount this incident he would quote Mises’s response as: “I agree with every word Professor Rothbard has written on the subject.”7 Whichever account of the incident is more accurate, the point is that Mises clearly viewed Rothbard as an economist who substantially advanced his own work in the field of economic theory. 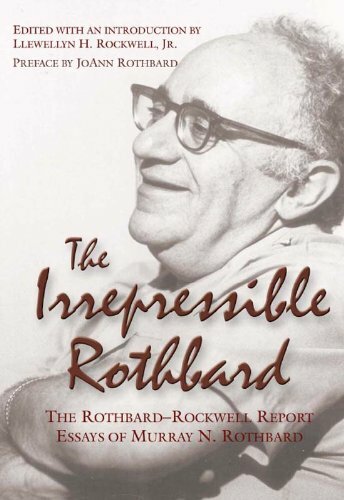 Hayek’s characterization of Rothbard as someone who “has been profoundly influenced” by Mises’s methodological position and as one of Mises’s “best authorized disciples,” along with the admiration for Rothbard’s work expressed by Hazlitt and Mises himself surely is sufficient reason to reject the bizarre and vacuous claims made by the Rothbard deniers. Murray Rothbard was a true heir to the Misesian tradition whose voluminous and profound research and scholarship greatly advanced Austrian economics and continue to inspire new generations of young economists today. 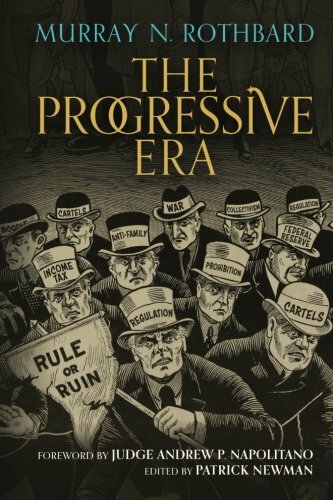 2.Murray N. Rothbard, The Progressive Era, ed. Patrick Newman, Mises Institute, Auburn, AL, 2017. 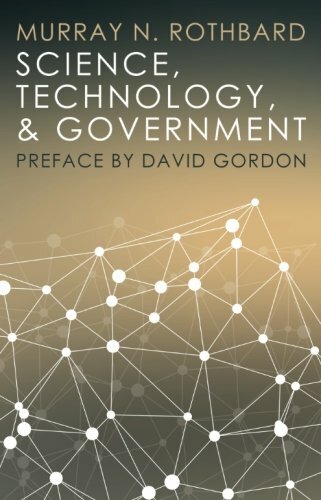 3.For an overview of Rothbard’s thought, which includes a 53-page bibliography of his works through 2005, see David Gordon, The Essential Rothbard, Mises Institute, Auburn, AL, 2007. . Also see the annotated bibliography of Rothbard’s writings through 1985, compiled by Carl Watner with annotations and a bibliographical essay by David Gordon, Murray N. Rothbard: A Scholar in Defense of Freedom, Mises Institute, Auburn, AL, 1986. 5.Ludwig von Mises, Human Action: A Treatise on Economics, Scholar’s Edition, Mises Institute, Auburn AL, 1998, p. 869. https://mises.org/sites/default/files/Human%20Action_3.pdf. 6.Margit von Mises, My Years with Ludwig von Mises, Arlington House Publishers, New Rochelle, NY, 1976, p. 160. 7.“The Spanish Roots of the Austrian School: An Interview with Jesús Huerta de Soto.” Austrian Economics Newsletter, vol. 17, no.2 (Summer 1997), p. 1. 8.Hazlitt on Rothbard’s Man, Economy, and State, Mises Wire (January 2, 2007) . 9.For a thorough de-homogenization of these two traditions, see Joseph T. Salerno, “Friedrich von Wieser and Friedrich A. Hayek: The General Equilibrium Tradition in Austrian Economics,” Journal des Economistes et des Etudes Humaines, 2002, vol. 12, no. 2, 1-24; Salerno, “The Place of Mises’s Human Action In the Development of Modern Economic Thought,” The Quarterly Journal of Austrian Economics vol. 2, no. 1 (Spring1999). 10.F. A. Hayek, “Coping with Ignorance.” In Friedrich A. Hayek, Knowledge, Evolution and Society, The Adam Smith Institute, London, p. 18..
11.The Collected Works of F. A. Hayek, Vol. 4: The Fortunes of Liberalism: Essays on Austrian Economics and the Ideal of Freedom, eEd. Peter G. Klein, University of Chicago Press, Chicago, p. 157. 12.F. A. Hayek, Law Legislation and Liberty: A New Statement of the Liberal Principles of Justice and Political Economy, Vol. 2: The Mirage of Social Justice, University of Chicago Press, Chicago, 1976, p. 157, n. 12. 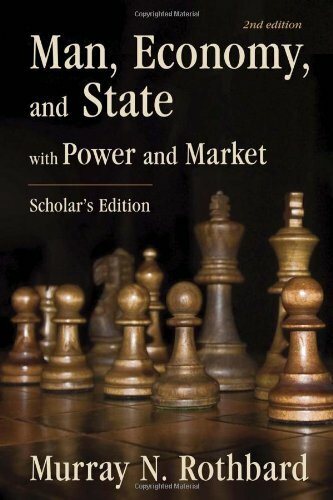 13.Hazlitt on Rothbard’s Man, Economy, and State, Mises Wire (January 2, 2007) . 14.F. A. Hayek, Foreword in Murray N. Rothbard, Individualism and the Philosophy of the Social Sciences, Cato Institue, San Francisco, 1979, pp. ix-x.